One of the more underrated forms of poetry, concrete poems, are also known as shape poems. Here’s an example of a concrete poem (you’ll see for yourself why it’s called that!. To be clear, concrete poems are shaped in a meaningful way; the words of the poem are placed in order to form some kind of a pattern or image. Often, the image that the words depict represents the topic, symbolism, or theme of the poem itself. 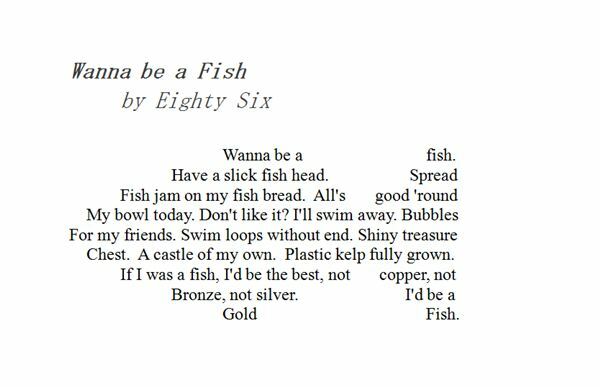 In this way, concrete poems are a great way to integrate the visual and literary aspects of poetry into a cohesive piece. 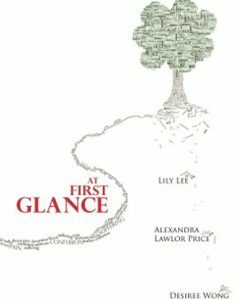 The cover for one of our books, At First Glance, is similar in many ways to a concrete poem. The talented cover designer made careful choices about both the image and the words to reflect the genre of the stories in the book: dystopic fiction. What words, ideas, images, stories or feelings do you associate with this topic? Will your poem be rhyming? What kind of emotional response are you trying to elicit from the reader? How does this influence your word choice and metre? How will your poem be shaped—that is, what will the image look like? How can the words and the image work together? We suggest you choose a topic and experiment with different combinations of words and images. You may be surprised by what you create through this exercise of "variations on a theme" and by which variations you ultimately feel are most effective.